The chief executive who represents the state to foreign and heads the executive branch. The Prime Minister is a public official in political service and assists the current president under the current consititution of the Republic of Korea. Also, the Prime Minister supervises each department under the command of the president on the administrative role. The single-term system for the presidency. The president in Republic of Korea is elected for 4 years with a term limit of one term. A person who has a nationality of Republic of Korea, is over the age of 40 and living in Korea more than 5 years can be a candidate of president. The President is responsible for implementing and enforcing the laws written by Congress and, to that end, appoints the heads of the federal agencies, including the Cabinet. 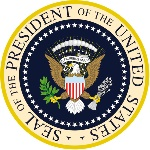 The President is considered the country's chief executive. He or she evelops federal policies, prepares national budgets, enforces federal laws, and appoints federal officials. The President is the commander of the armed services. He or she is responsibel for keeping the country safe and strong both in wartime and during peaceful periods. The President must direct foreign policy, appoint ambassadors, make treaties, and meet with foreign leaders. The President of the United States has many resposibilities. 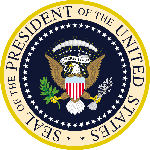 The President acts as the head of his or her political party, the chief representatives of the government, and the country's popular leader. The President influences the development and passage of laws. However his or her support does not guarantee that a law will be instated. Also, the President has the power to veto any bill that has been passed by Congress. The president of the United States is elected indirectly through the United States Electoral College to a four-year term, with a term limit of two terms (totaling eight years). one must be 35 years of age, a resident "within the United States" for 14 years, and a "natural born Citizen," a term not defined in the Constitution.